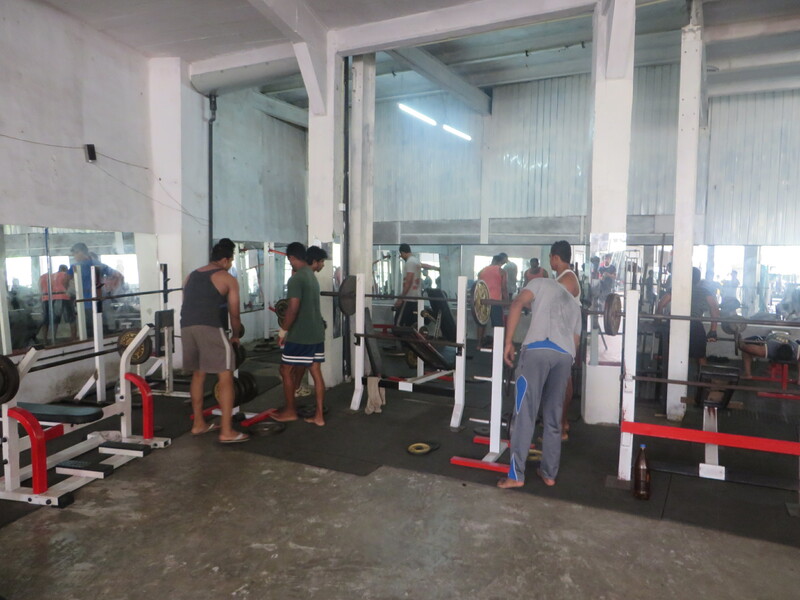 My crappy Sri Lankan gym | IKIMASHO! A Careless Whisper – and a lesson on the importance of chocolate. 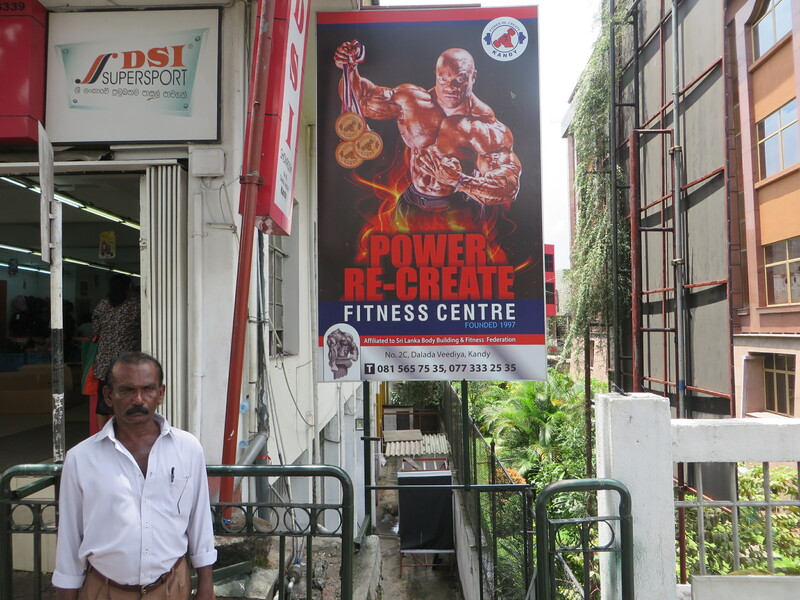 My crappy gym series continues, this time from Sri Lanka. Holed up in Kandy for four days for the Esala Perahera festival, I pretty much used the time to potter about and not do much. These days when I travel I prefer to just poke about the backstreets, eat in local restaurants and be lazy. I’ll maybe do one or two touristy things at a push, but that’s about it. 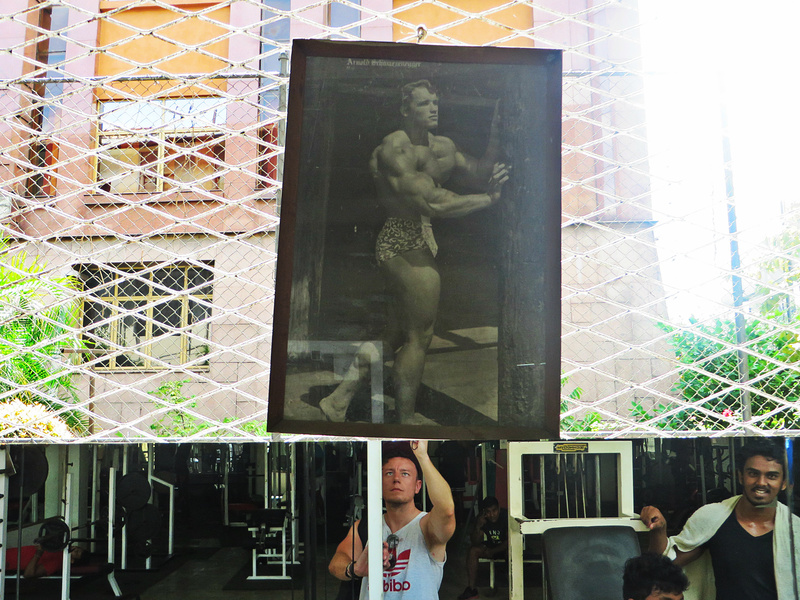 As I was walking back to my guesthouse one afternoon I spotted a ridiculous billboard of a bodybuilder advertising a gym, and I made a mental note to come back the next day. “That’s tomorrow’s activity sorted then,” I thought. The next morning I walked back into town with a German girl staying at my place. We visited a market, had breakfast, then I went to check out the gym. As I made my way down the stairs I could hear Careless Whisper by George Michael playing loudly on the stereo. Odd choice. To make matters worse I somehow managed to time my entrance along with the sax part and everyone turned around in slow motion to look at me. (I should mention at this point that I could have had about ten Sri Lankan husbands by now. No luck with a wife though.) The guy at the front desk told me 500rupess (£2.40) for one session which was way too high, so I told him I’d give him 700 (£3.40) for two days. This was probably still too much but I felt it was worth it. At this stage, Rihanna was playing on the stereo. Time to stick my headphones in. Sri Lankan people are probably the friendliest I have ever met on my travels. And so it wasn’t weird at all in the gym. Yes they were curious as to why there was suddenly a random white guy walking about, but I gave them the thumbs up and they smiled and did the same back. A guy pointed at his friend’s tricep and said “tricep”, happy that it was a word he knew. The guy with the tricep proudly repeated, “tricep”. I then rounded off the conversation by also saying “tricep”. Nothing to see here – just three guys, standing in a circle, repeating the word tricep to each other. It was hot, with no aircon. Out the back an old guy was dismantling a cycling machine, while inside was a mess of metal, cracked mirrors and sweat. 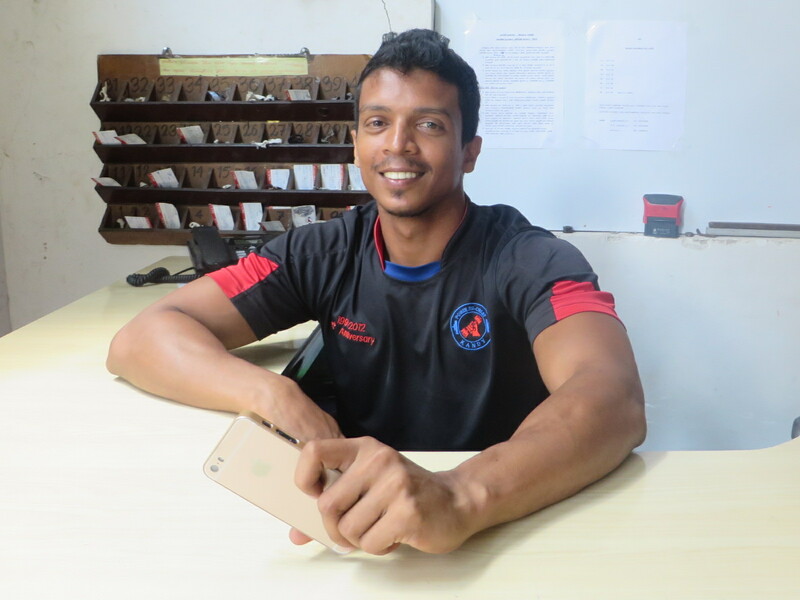 Here’s the address if you’re ever in Kandy and want to use the gym. There’s also a great restaurant up the road called Devon that I ate at three times a day. 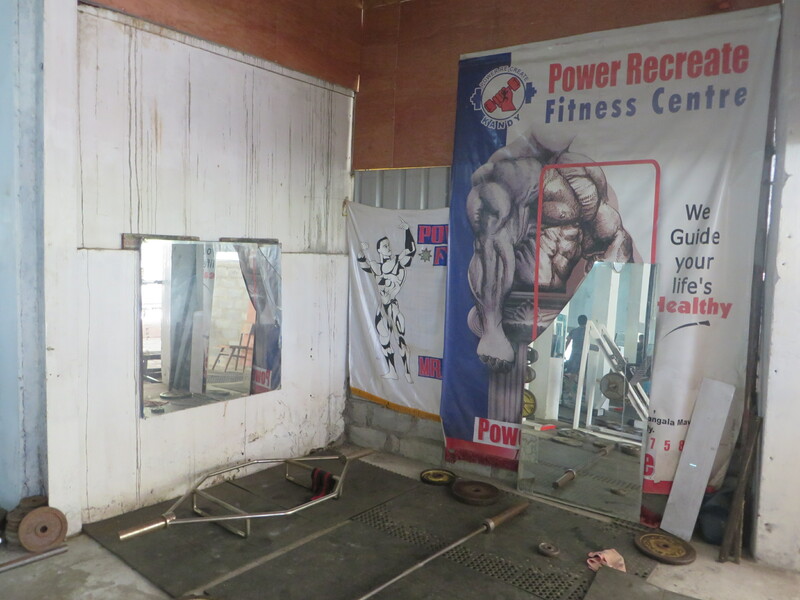 Power Re-create Fitness Centre, No. 34, Katugastota Road, Kandy, Sri Lanka. Pingback: Naturally Amazing: Jetwing Vil Uyana, Sigiriya, Sri Lanka | Ikimasho! Pingback: Welcome to my crappy Vietnamese gym | IKIMASHO!